This entry was posted on Wednesday, March 8th, 2017 at 18:17	and is filed under Competence Development, Pedagogy, teaching and learning, Wales Wide Web. You can follow any responses to this entry through the RSS 2.0 feed. Both comments and pings are currently closed. First, great post here. I am particularly interested in how recognise the competences of an student based in what he has studied and beyond. 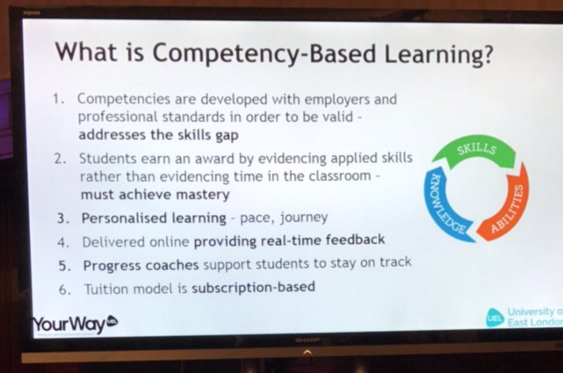 I mean, how we could recognise the different competences a student gets for studying in one or another school.